I found this recipe in the July/August 2009 issue of Simple & Delicious on page 27. It can also be found here. I must admit that I changed the recipe a bit and made it even more simple. Bake the garlic bread according to the directions. 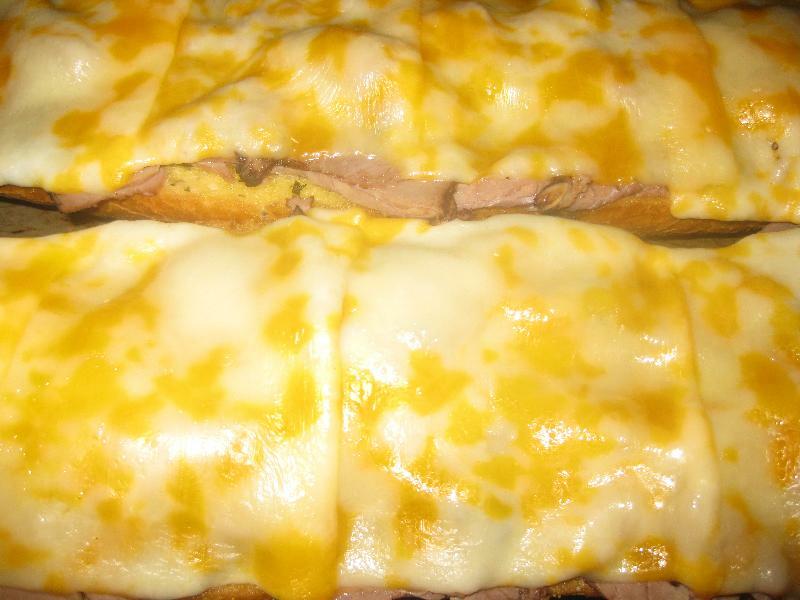 Layer each half of the garlic bread with the roast beef and cheese. Return it to the oven and bake 1-2 minutes longer or until the cheese is melted.